Hamsters are native to Syria and were primarily used for research. In 1948, Albert Marsh, a highway engineer, introduced them as pets. They are chunky-bodied, thick-furred, short-tailed rodents with cheek pouches and are secretive burrowers and hoarders. Being nocturnal creatures, they usually sleep during the day and play and explore at night. Hamsters have no detectable body odor. They are inexpensive to buy and outside of cage cleaning and proper food are relatively maintenance free. These adorable rodents are subject to very few health problems and diseases. Since they sleep during the day, they are active at night when most people are home. A hamster can be a wonderful family member and an excellent pet. Hamsters tend to be solitary animals and often do better living alone. Some types, like the Roborovski and Campbell’s, can live in pairs or groups, but it is not necessary. Keeping males and females together is not recommended since they are prolific breeders. Having a couple hamsters is wonderful, but if they breed you may end up with many more than anticipated. If you decide to have more than one, make sure you have a second cage in case they don’t get along. Information on the supplies necessary to care for your new pet. The proper diet necessary to have a happy and healthy companion. The types of homes and the maintenance required. 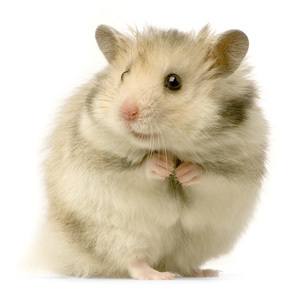 Common health problems and illnesses that could affect your hamster. A guide to breeding, reproduction, sexing, and babies. The most common types of hamsters available as pets.